Today, we see a whole new revolutionization in the way businesses are carried, and the credit goes to the mobile app, leading to the constant transformation in the mobile app development. Apps are not the option, rather a basic necessity of business, thus ignore it can lead the business to nowhere. The apps power can be determined with the fact that " approx 6 billion of the gadgets predicted to be in use by 2020. Encapsulated in mobile devices, nowadays, the business requires to emphasis more on choosing the right technology stack. 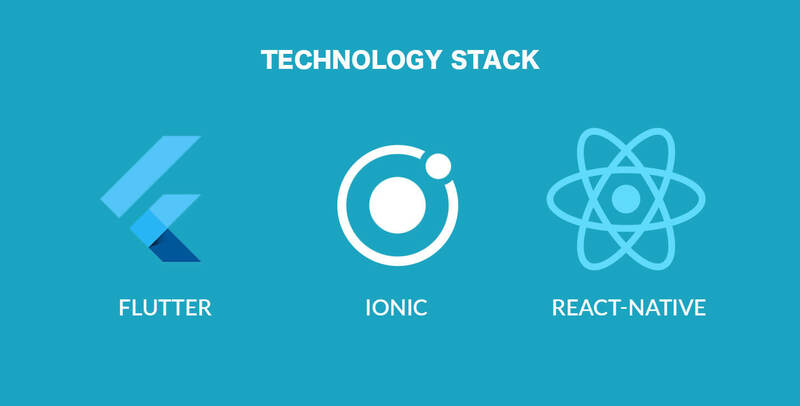 Technology stack can be best illustrated as an ideal set of programming languages and software to build web or mobile app development. Therefore, with a robust technology stack, the developers can receive the most efficient result. Thus, no denial to mention the best technology stack as the future of the mobile app development. It is category contains libraries and interface required to design and create mobile apps. It is the interface where the users directly interact with the mobile apps. This category includes the technology requirement that triggers features like mobile app security, performance, and stability. Native App Development employs platform-specific programming languages, particular software development kits, development environments, and other tools provided by respective operating system vendors. Thus, for building native apps for several platforms means - it requires separate mobile app development technologies. 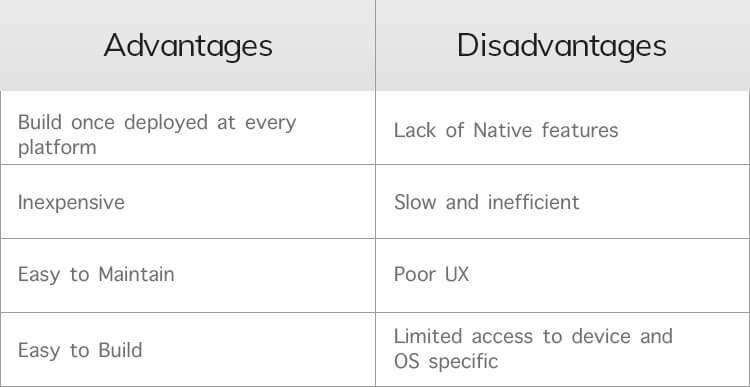 Popular apps like Lyft and Pokemon GO are build using the native approach. The most preferred programming languages for iOS app development are Swift and Objective-C. Objective-C offers object-oriented capabilities and dynamic runtime. Whereas, the inline support (manipulating text strings and data) in Swift provide less-error prone and comprises dynamic libraries. Usually, Apple Xcode toolkit is mostly used by the iPad and iPhone app developers. Xcode full-featured development environment ensures designing mobile apps as well as desktop applications. Xcode - combined support for Git repositories, a graphical editor to strengthen user interfaces, instrumentation and debugging tools, and integrated documentation. Well, the iOS SDK incorporates an application programming interface (API) that operate as a connection between software applications and the platform they appear on. The iPhone SDK contributes tools for Apple’s touchscreen interface and for its restrictive iOS operating system. Kotlin is the official programming language and durable and congruous development alternative for Android app development. Java- prominent programming language also used by the Android app developers to a high level, comes with vast open-source tools and libraries. As for the IDE, Eclipse and Android Studio are most commonly used for development purposes. Android Studio allows code editing, debugging, performance tooling, a flexible build system, and an instant build/deploy system. With this, the developers can focus on creating novel and high-quality apps. To write programs with the advanced features, developers must download and install each version SDK for a particular phone. The elements of the Android SDK can be downloaded separately. Apart from this, third-party add-ons are available for download. The Cross-platform application development frameworks are just boon in the advancing technology era. Well, cross-platform refers to mobile apps development that is usually used on multiple mobile platforms. With this approach the developers can use a single code base, thus, the mobile applications are developed for different platforms concurrently. Further, they are accustomed to fit the requirement of several devices. Basically, while making a selection for the best technology stack for mobile applications development, one of the crucial concern is a dependency on the app's objective. For instance; the mobile app depending on load processing requires a much stronger technology sack compared to the optimized interactions. Thus, the technology varies on the choice, whether the development is for high latency apps or mobile apps with the expeditious response and low latency. The technology stack's parent company can create a lot of difference in the choices of the best technology stack for mobile development. There are many brands that offer better community support rather than Facebook. The developer's skill set also play an important role while deciding the stack for similar technology. The abundance of language and frameworks combined in perfect combination provide the best-desired result. Further, the team with different skill set can add up extra development time and effort. Hence, favoring the team with technology stack for application development they are comfortable, ensues to streamline the process, saves time and ensure quality development. 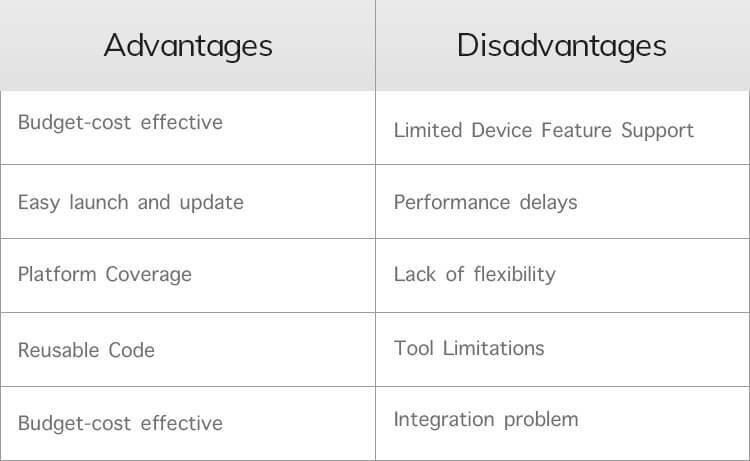 Here are some of the factors that vary from one application to another. ● A device in which the application will function. ● The network's condition used for execution. ● The platform for execution, among others. Understanding the need for security, the advanced mobile application development technologies are based to combat the issues related to security. Thus, if you choose a technology stack not documented sufficiently or involve long lines of code writing, it can create risk for your application development. To establish complete security, it is highly necessary to have a skilled team having strong knowledge in their domain. Check if the stack of mobile app technology is perfectly in line with the respective project. And certainly, it is crucial to look if the development is based on new technology. Further, emphasis should be given on the compatibility of the technology stack with the tools that will be incorporated into the project. Nowadays, the tech world treasures different types of the technology stack, making it convenient for developers to choose the most preferred stack as per their project requirement. As we understand, how different application requires different sort of technology stack to accomplish your project in the right manner. Hence. 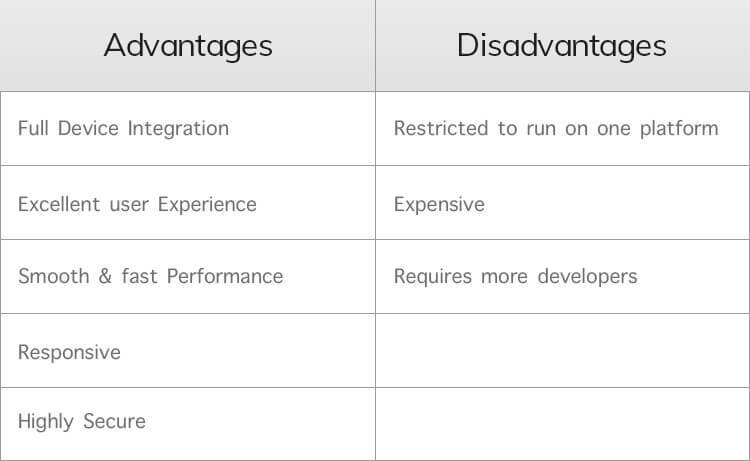 you can choose the right technology stack from the above discussed that best suits the project requirement. Are you looking outsource the mobile app development or hire mobile app developers - you are at right destination - Root Info Solutions is a leading technology first development company.